Uber hired an engineer from Google to run its self-driving car program, even after an internal report cast uncertainty over whether he took—and kept—proprietary information from his former employer. 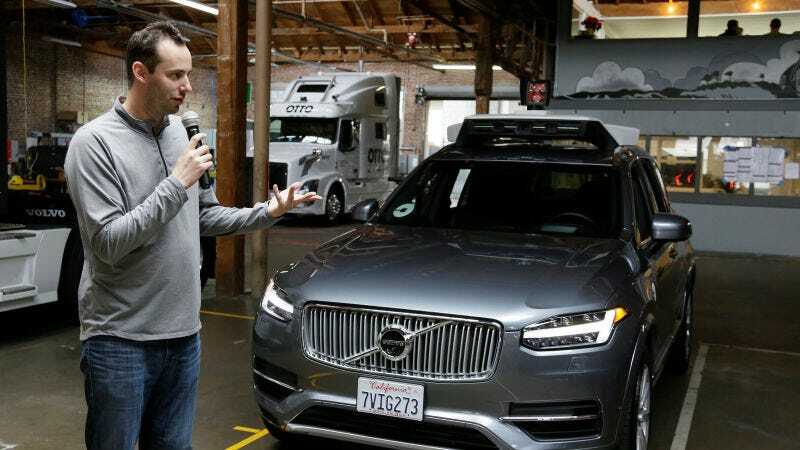 The report, commissioned by Uber to determine the risks in hiring the engineer, Anthony Levandowski, was made public late Monday as part of the company’s legal battle with Google’s self-driving car program, Waymo. Waymo filed the report as part of an effort to push back the date for the high-stakes trial, which is slated to begin next week. But Waymo argues it needs more time to inspect files associated with the due diligence report and additional documents it received in recent days from Uber. A hearing is scheduled Tuesday on Waymo’s request. The report supports Waymo’s narrative that Levandowski took self-driving car documents from the company before joining Uber, and that should’ve raised questions about employing him. Waymo has argued that Levandowski and Uber conspired to use the company’s proprietary information to advance its own self-driving car efforts. Uber denies the allegations, and says that, even if Levandowski took the files, none of them were used by the ride-hailing company. But the confidential report, conducted by cybersecurity firm Stroz Friedberg, offers the clearest picture to date of what Uber knew when it was determining whether to hire Levandowski and buy his self-driving truck startup Ottomotto. Levandowski left Google in January 2016, joined Uber days later, and soon after secured a rough framework of a deal for Uber to acquire Ottomotto. “Our forensic examination of Levandowski’s devices and accounts corroborates his assertion that he stored and accessed Google files on his personal laptop in folders labeled ‘Chauffeur’ (Google’s original codename for its self-driving car program) and ‘Google,’” according to the Stroz report. Waymo say the report shows that Uber knew Levandowski had a “massive trove” of confidential Waymo files, and repeatedly accessed the information even after leaving his former employer. The report concludes that Levandowski retained and accessed “Google confidential information” after leaving the company, but Stroz said it found “no evidence indicating that he transferred any of that data to Ottomotto or other third parties. That’s why, Uber says, the report vindicates the company’s assertion that no Google material wound up at the ride-hailing company. Levandowski, in interviews with Stroz, said that he took five discs of Google proprietary information to a shredding facility in Oakland called Shred Works, after meeting with Uber executives in March 2016. But Stroz couldn’t corroborate Levandowski’s account, saying interviews of Shred Works’ employees and the Shred Works’ documents do not confirm” his story.